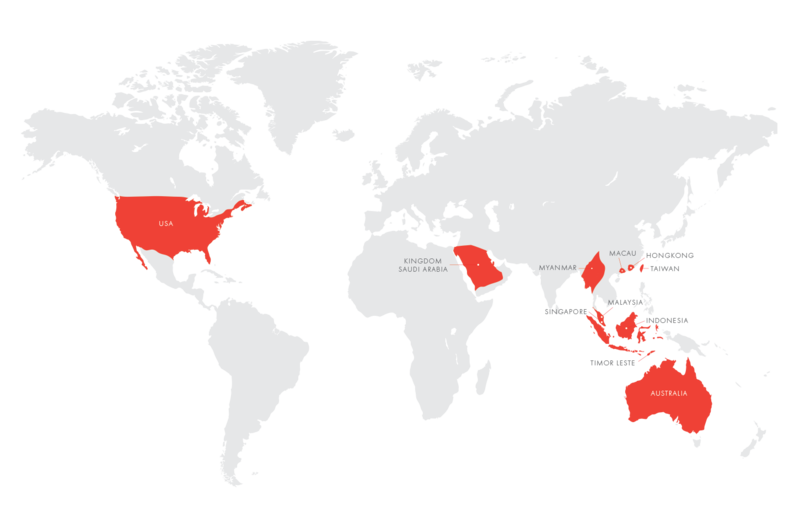 Telkom has served the Indonesia migrant workers worldwide, already established in the following countries: Taiwan, Hong Kong, Macau, Malaysia, Myanmar, Saudi Arabia, Singapore, Timor Leste, USA, Australia, and New Zealand. Telkom Taiwan's main business is to provide high-quality second-class telecommunications services and telecommunications-related investment projects, services. Taiwan, May 19, 2015 – PT. Telekomunikasi Indonesia International (Telin), through the subsidiary of Telin Hong Kong, Telin Taiwan, signed a partnership agreement of Kartu As 2in1, marking the readiness of the product that enhance the function of one SIM card with two numbers in Taiwan.